The Dude & Arnette family history dates back to 1937, but oast houses themselves go back hundreds of years, with the earliest description thought to go back to 1574. 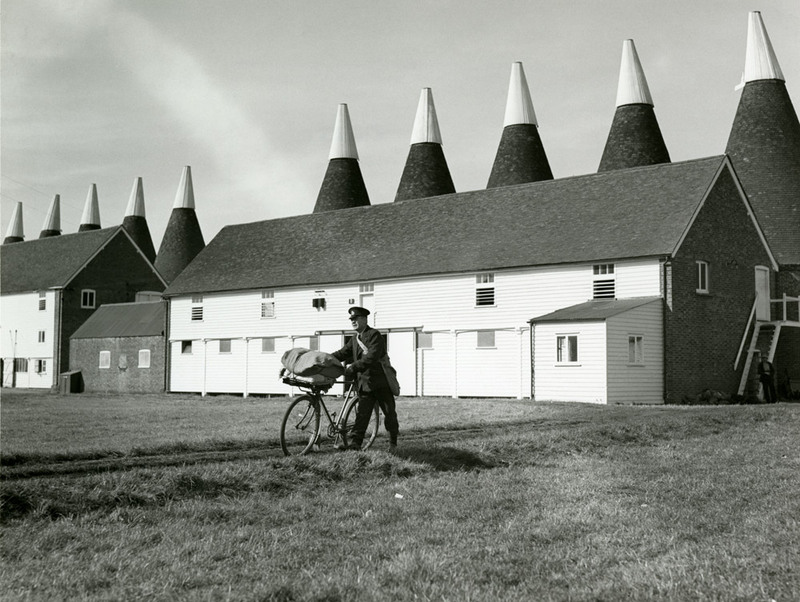 Symbolic of the countryside that surrounds them, oast houses historically represent one of Britain’s oldest known trades – beer making – and the industry and means to dry hops remain in Kent and Sussex today. The cycle of inhabiting, converting, and inhabiting again means that today’s oast houses are cloaked in stunning history, with many maintaining original features and ornate detail once found in its original form. As the beer-making industry evolved over time, and machinery was introduced into the hop-picking process, many oasts became redundant, often becoming derelict or demolished. These stunning buildings soon became the solution to the housing situation that arose in the late 19th century, and at the turn of the century Sir Philip Waterlow became one of the first to convert an oast to a house. As the decades rolled on, our family learnt the skill and craftsmanship needed to restore cowls and hop kilns across the country, and we still use many of the same techniques today. Find out more about Dude & Arnette and our family history on Our Story page, and get in touch today to arrange a free quotation for restoring and repairing your oast cowl.